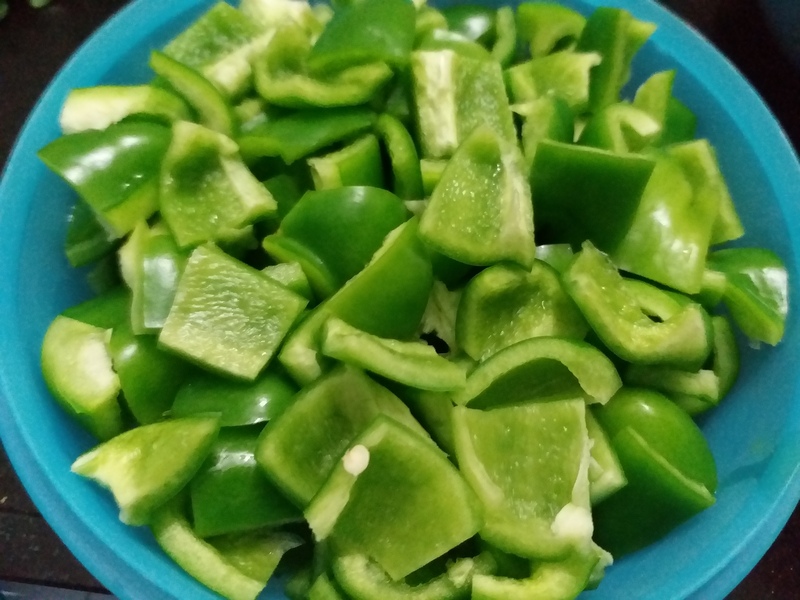 Cut the capsicum in small bite sized pieces. Roast besan on a small non-stick pan for 3 to 4 minutes on low flame , keep stirring so that it does not stick to the bottom of the pan. keep it aside. Heat oil on another medium-sized pan , temper it with fennel and cumin seeds . 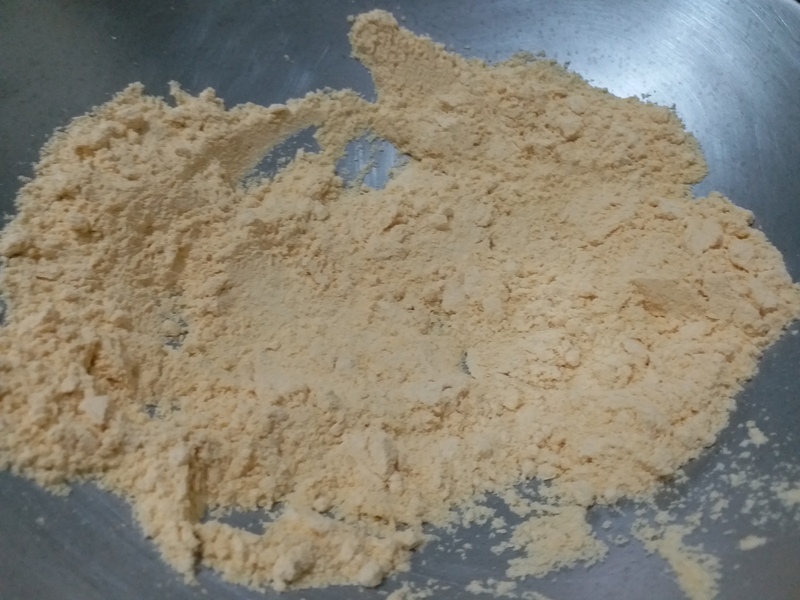 Add capsicum and fry on medium flame for a minute, add all the dry masala like turmeric, red chilli powder , cumin, coriander powder, dry mango powder and salt . It seems to taste good. Love, love, Love this simple,but healthy recipe! Thank you! 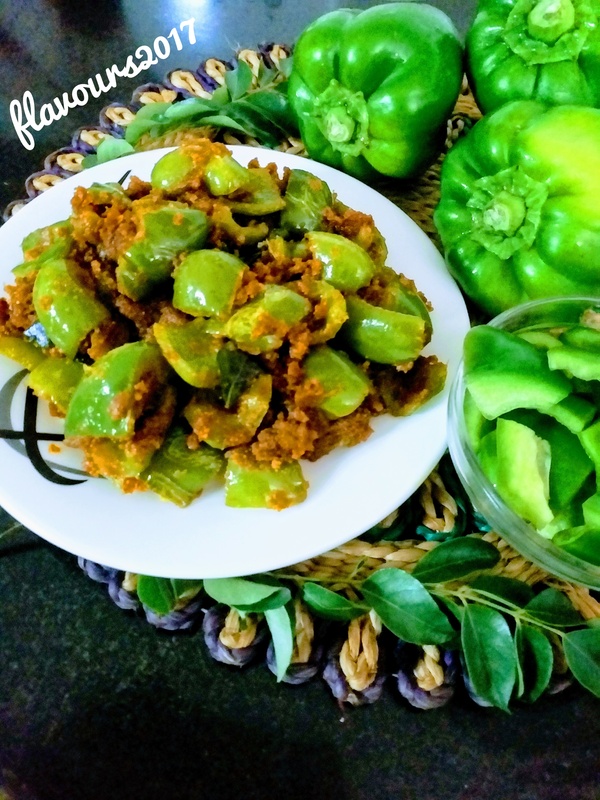 love capsicum in any form! great recipe !